Popular culture moves in strange ways. Since the release of the eponymous movie, the idea of a “bucket list” has quickly become part of our modern vernacular. My botanical bucket list includes plants like the ancient bristlecone pines of Nevada and the cobra-lilies of Northern California. 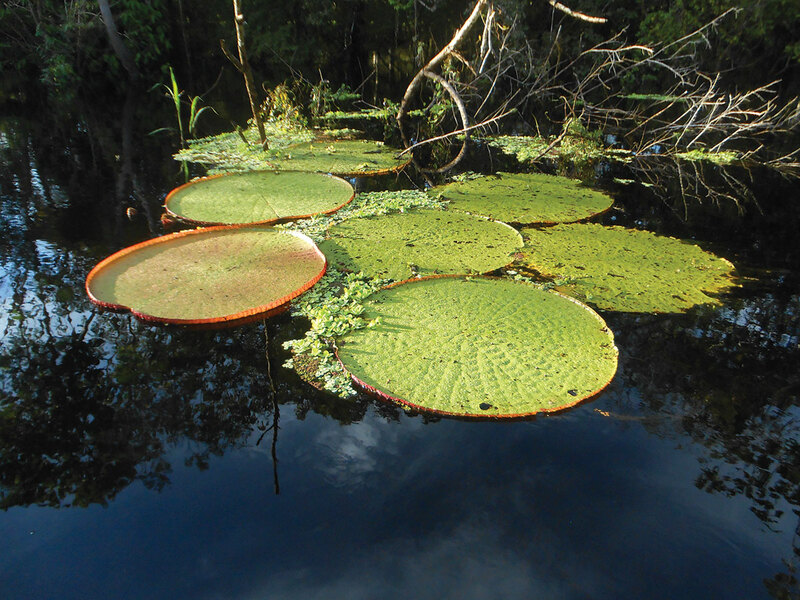 Recently, in the Peruvian Amazon, I checked off my list the giant Amazonian waterlily. I’ve seen it many times before; it is grown all over the world. But coming across it in an Amazonian backwater, untended by people, is quite a different experience. The Amazonian waterlily is one of the botanical wonders of the world, but look closely and every plant has its own mysterious life story full of evolutionary twists and turns. Whether in the garden, in the forest preserve, or along the roadside, even the most inconspicuous weed is a twig atop the gnarled and much-ramified tree of life. Every plant is a living expression of the vicissitudes of thousands, often millions, of years of history. Guest columnist and Garden board member Peter Crane, Ph.D.
Over the past three decades the evolutionary tree of plant life has come into clearer focus, as we have learned more about living plants, including about their genomes. We have also learned more about plants of the past by exploring their fossil record. There is still much that remains beyond our grasp, but scientists at the Chicago Botanic Garden are at the forefront of current research, including efforts to integrate information from fossils and living plants toward a more complete understanding of plant evolution. And viewing the world’s plants through an evolutionary lens only accentuates our sense of wonder. The leaves and the flowers of the Amazonian waterlily are massively increased in size and complexity compared to those of its diminutive precursors, which begs further questions about why and how such dramatic changes occurred. To borrow a phrase from Darwin, “There is grandeur in this view of life.” Such perspectives, rooted in deep history, emphasize the power and glory of evolution over vast spans of geologic time, as well as its remaining mysteries. In the face of rapid contemporary environmental change, they also underline the need for enlightened environmental management. Looking to the past to help us understand the present sharpens our view of the glories of nature. It also reminds us of our place in the world, and the value of humility as we together influence the future of our planet. Renowned botanist Sir Peter Crane is the Carl W. Knobloch, Jr. Dean, Yale University School of Forestry & Environmental Studies and former director of the Royal Botanic Gardens, Kew. 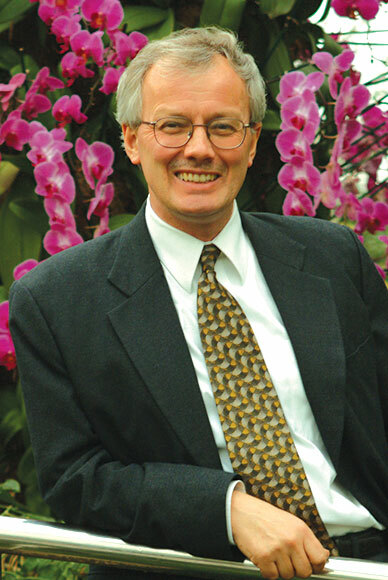 Dr. Crane is also a life director of the board of the Chicago Botanic Garden. In 2014 Dr. Crane received the International Prize for Biology, administered by the Japan Society for the Promotion of Science, for his work on the evolutionary history of plants. The award, created in 1985, is one of the most prestigious in the field of biology. It’s like having a time machine—supercomputers and gene sequencing allow scientists to study early events in plant evolution. One of our conservation scientists, Norman Wickett, Ph.D., is co-leader of a global initiative involving some 40 researchers on four continents. The team has spent the past five years analyzing 852 genes from 103 types of land plants to tease out early events in plant evolution. The results, published recently in the Proceedings of the National Academy of Sciences, expand our knowledge of relationships among the earliest plants on land. Want to print out this infographic? Download a print version here. There’s less mystery in the natural history of aquatic green algae and its relationship to land plants, thanks to research co-led by Chicago Botanic Garden scientist Norm Wickett, Ph.D., published this week in the Proceedings of the National Academy of Sciences and GigaScience. The study examined how major forms of land plants are related to each other and to aquatic green algae, casting some uncertainty on prior theories while developing tools to make use of advanced DNA sequencing technologies in biodiversity research. “We have known for quite some time that all plants on land share a common ancestor with green algae, but there has been some debate as to what form of algae is the closest relative, and how some of the major groups of land plants are related to each other,” explained Dr. Wickett, conservation scientist in genomics and bioinformatics. 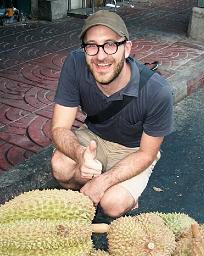 Over the past four years, he has collaborated with an international team of researchers on the study that gathered an enormous amount of genetic data on 103 plants and developed the computer-based tools needed to process all of that information. The study is the first piece of the One Thousand Plants (1KP) research partnership initiated by researchers at the University of Alberta and BGI-Shenzhen, with funding provided by many organizations including the iPlant Collaborative at the University of Arizona (through the National Science Foundation), the Texas Advanced Computing Center, Compute-Calcul Canada, and the China National GeneBank. The results released this week were based on an examination of a strategically selected group of the more than 1,000 plants in the initiative. Researchers dove into the genetic data at a fine level of detail, looking deeply at each plant’s transcriptome (the type of data generated for this study), which represents those pieces of DNA that are responsible for essential biological functions at the cellular level. In all, they selected 852 genes to identify patterns that reflect how species are related. The study is consistent with ideas and motivations that parallel research Wickett is pursuing in work funded by the National Science Foundation program called “Assembling the Tree of Life.” Both studies seek to better understand how the earliest land plants that first appeared more than 460 million years ago evolved from green algae to yield the diversity of plants we know today. 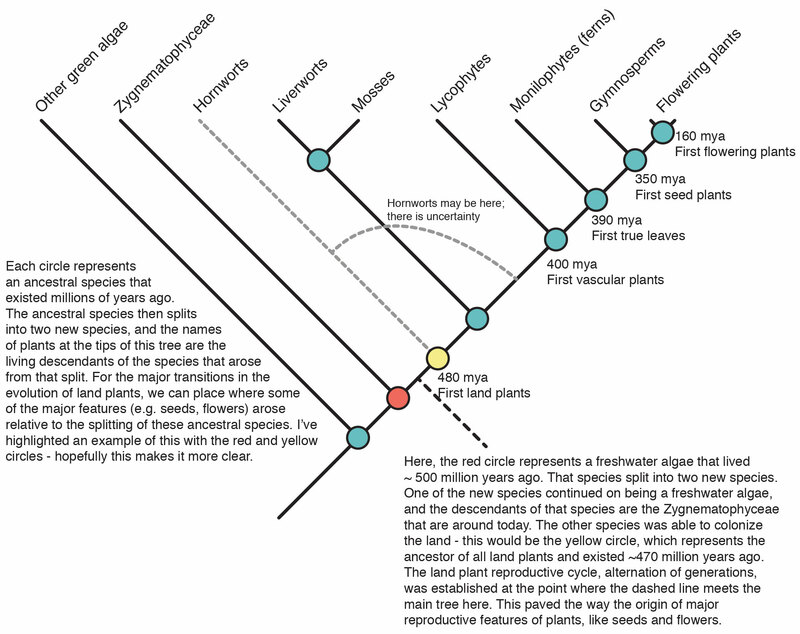 Understanding those lineages, Wickett explained, allows scientists to make better-informed decisions in their research pursuits, and illuminates historical environmental conditions that may have impacted evolution. “Knowing that set of relationships offers a foundation for all evolutionary studies about land plants,” he said. By working with a large amount of data, explained Wickett, the team was able to resolve patterns that were previously unsupported. Until recently, the scientific community has largely believed that land plants are more closely related one of two different lineages of algae—the order Charales or the order Coleochaetales, which share complex structures and life cycle characteristics with land plants. However, the study reinforced, with strong statistical support, recent work that has shown that land plants are actually more closely related to a much less complex group of freshwater algae classified as Zygnematophyceae. It may mean that the ancestor of all land plants was an alga with a relatively simple growth form, like the Zygnematophycean algae, according to Wickett. More than 500 million years ago, that ancestral species split into two new species; one became a more complex version that colonized the land, and the other continued on to become the Zygnematophyceae we know today. The unique direction of both species was likely influenced by environmental conditions at the time, and this study may suggest that evolution could have reduced complexity in the ancient group that formed what we now recognize as Zygnematophyceae. Wickett can’t help but feel encouraged by the wave of enthusiasm around the release of the publication. “When you get involved in these kinds of projects, it never seems as big as it is—you just get used to the scale. It’s been really great to get the public reaction and to see that people are really excited about it,” he said. Wickett will convene with the research team in January in San Diego to discuss next steps for 1KP, which will lead to the analysis of some 1,300 species. The team will likely break into subgroups to focus on sets of plants that share characteristics such as whether they produce flowers or cones, or have a high level of drought tolerance. With the publication of this research, a door to the past has been cast wide open, offering untold access to natural events spanning some 500 million years. After such significant discovery it’s hard to imagine that there could be more in the wings. But with the volume of data generated by the 1KP project, there are certainly exciting results yet to come.